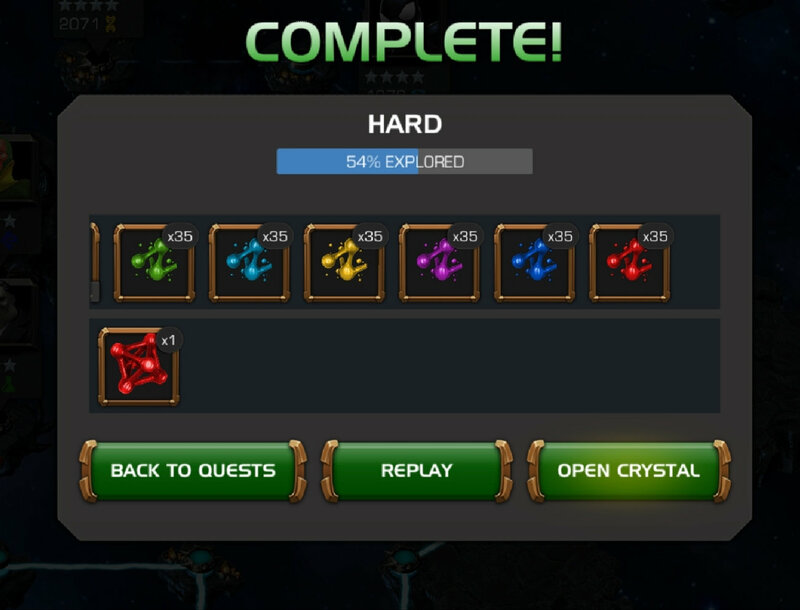 In about two weeks I will have been playing MCOC officially for 4 years! In those for years much has changed. But I have been here all along! And throughout it all some of you have treated me as if i am not a true member of this community because i have chosen to play.this game dofferently than you have chosen to play it. 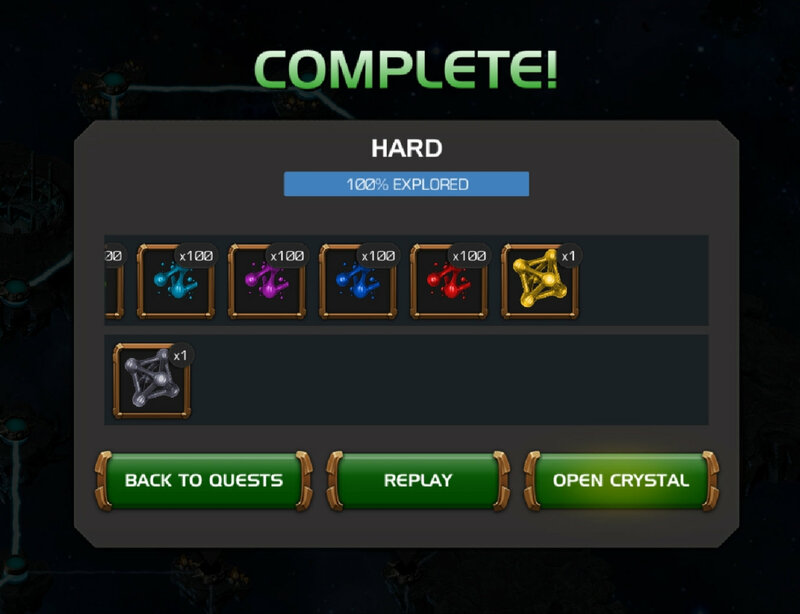 Kabam has overlooked me, some of you have underated me and through all four years i have had to put up with my concerns and interests being me with helpful advice like, "git gud", "git some skill!" "You don't understand 'progressive games" "you just don't wanna do what it takes," "if you were a 'serious' player..." and my favorite! Join an Alliance! Recently, i came in to the forum along, with many others, to bemoan the gate being dropped and was again met with these same retorts. I became acerbic in my tone and outlines some.of.my achievements that I felt entitles me to at least some degree of respect! I explained that i was upset because i had been working dilligently to build a broad base of four stars...and that i may have put in less effort into that part pf my roster. 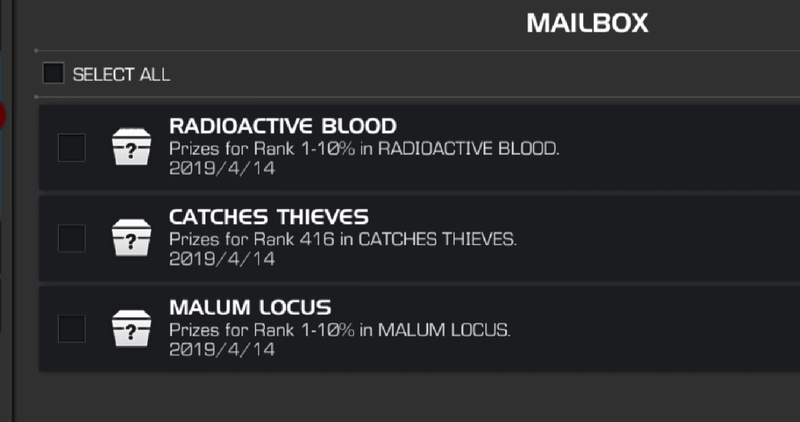 I went on to say that my 4bstar roster was so braod i could rank in 3 out of 5 arenas in a cycle...I WAS CALLED A LIAR...well here is the proof i am not! Top ten in two! Ranked in the third! So! Not lying. I think it is time to find new insults! You can call me.rude...you can call me arrogant...but don't call me a liar! That is my opinion and i am certainly entitled to it! Now here it is gentlemen! You may be (to use a star wars analogy) Luke Skywalker! But i am Yoda...do be more respectful! Of all the players youmdo not know "that way!" I'm confused by this thread. 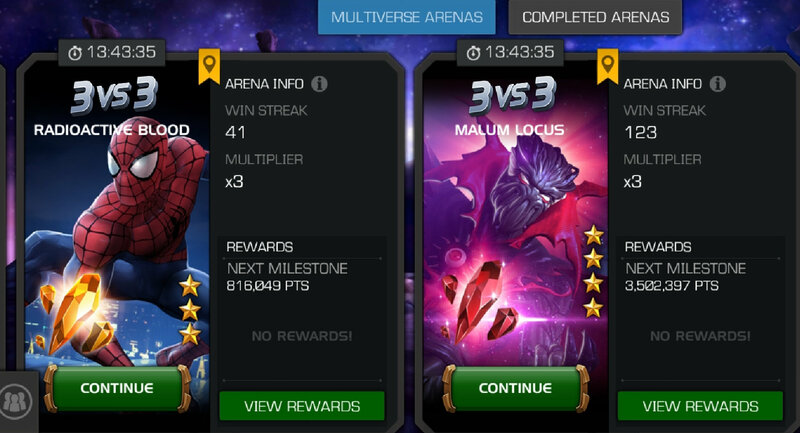 So after 4 years of playing you are hear to brag that you can beat most players under 1 year in 3 and 4* arena? I mean really that's who you are competing with in those arenas unless it's some new champ everyone wants. 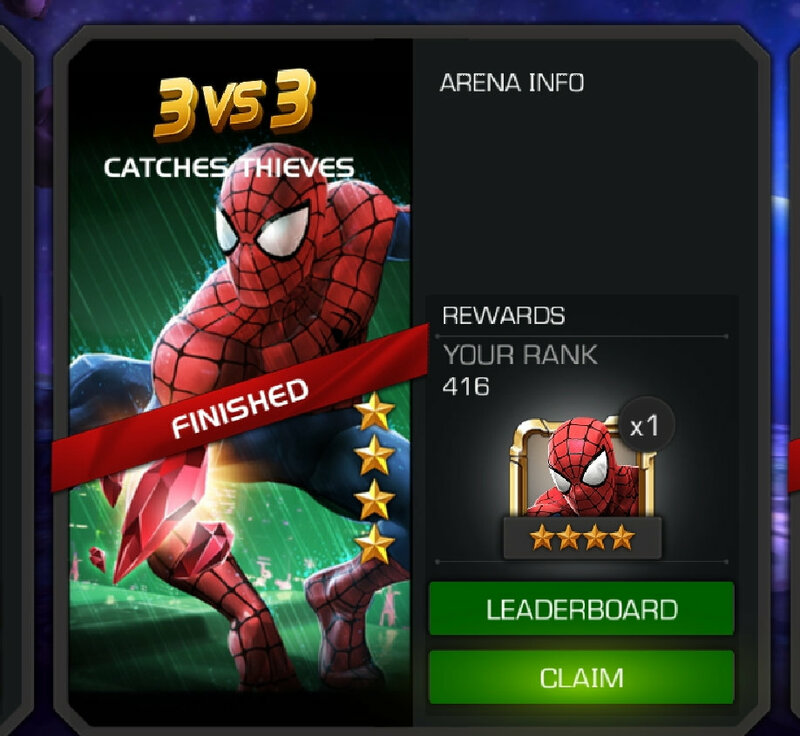 Spidey has been out for 4 years and most veteran players only do those lower arenas to get the milestones. I'm not a fan of the git gud comments but when you complain about your struggles as a solo player the join an alliance response is only natural. It's one of the first things told to new players when they ask how to grow. Kabam hasn't overlooked you. You took yourself out of half or more of the contests content by not being in an alliance. The gate you are upset about we have discussed in other threads. 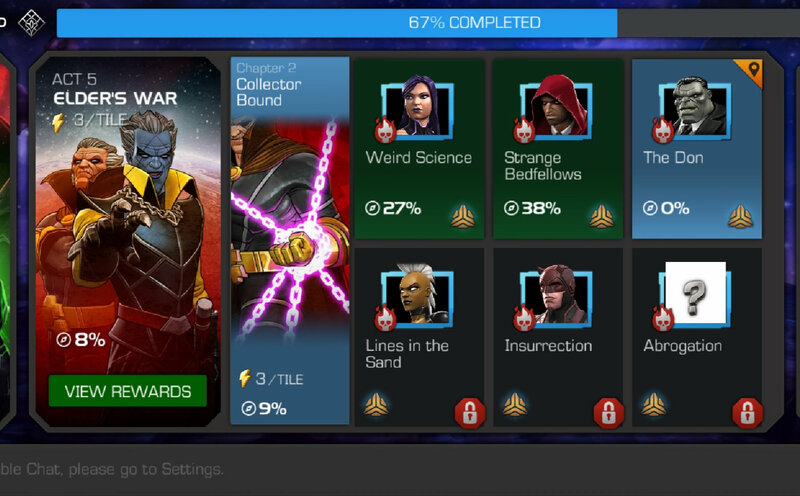 You have held off becoming uncollected to build resources so by the time you reach that gate you will have had time to shift you ranking resources to 5*s. That said the gate doesn't affect you. Everyone is entitled to play the game as they see fit and if you want to be a lone wolf in a team based game that is your choice. Just remember that was and is your choice so complaining you have been left behind is the result of your past and future choices. And if any of this was hard this thread would matter. So just curious who this thread was created for and why? It is very hard after 4 years of the same bull not to be sacastic at this point! And where i come from you just don't call someone a liar unless you can prove it. So really at what point in the last 4 years should i have gotten my back up about it? Never? You yourself are personally aee willing to be repeatedly called a liar and not try to prove that that is not the case? I should just accept it? Yes. Because this is the Internet. You're never going to see these people. It was created for anyone who thinks that other players concerns are irrelevant, those who come in here and passive agressively bully other community members. I would like to see an end to it. And every player allowed to have a voice with that kind of bs. Gone! If you wanna discuss ideas techniques,.struggles, jokes, and most of all concerns of other tiers that is great! But to try to make them sit down and shut up with a concern is not acceptable.